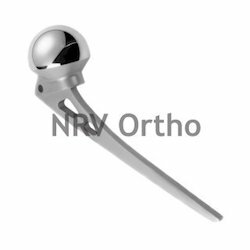 Leading Manufacturer of bipolar hip prosthesis, hip prosthesis and austin moore prosthesis from Ahmedabad. By keeping track of the latest market developments, we are actively involved in manufacturing and supplying a broad range of Bipolar Hip Prosthesis. These are made with stainless steel and high-tech technology in compliance with the set industry norms. 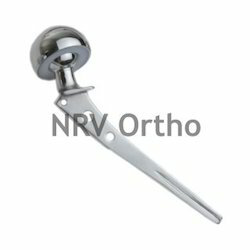 Our offered range is mainly used in hip replacement procedures. Our wide range of the Bipolar Hip Prosthesis is recommended by top doctors for its customized sizes and dimensions and precision engineering. 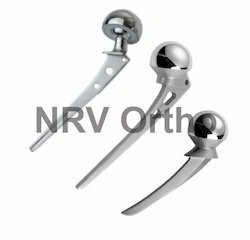 According to the requirements of the customers, we are involved in offering Hip Prosthesis. This Hip Prosthesis is widely used in hip replacement implants are referred to as Ultra Highly Cross-Linked PolyEthylene. Further, the offered products are available in the market at most affordable rates. To meet the diversified needs of our clients we are offering a wide collection of Austin Moore Prosthesis. We manufacture these products under stringent quality controls by using premium-grade Stainless Steel and Titanium alloys cutting-edge technology. Our offered products are also examined as per industries predefined quality parameters to ensure their flawlessness. Clients can avail this entire assortment from us at most reasonable price.